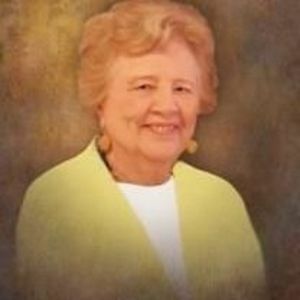 Dorothy Ann Mathews Casino, 99, of Cary, NC, passed away Dec. 16 at Jordan Oaks retirement community, Cary, of natural causes. She is survived by son Steven P. Mathews (Jo Ann) of Ocean Isle Beach, NC; daughter-in-law Carol Mathews of Cary; stepdaughter Shelley Cogswell (David) of Murphy, TX; stepson Mark Casino of Kankakee, IL; four grandchildren, Steven J. Mathews (Meghan) of Virginia Beach, VA; Kristen Styers (Kevin) of Apex, NC; Jeffrey J. Mathews of San Francisco, CA; John Mathews (Tonya) of Cary, NC; seven great grandchildren, Jackson, Jefferson and Harrison Mathews; Logan and Addison Styers; Cooper and Jack Mathews; two step grandchildren Jared and Kane Cogswell; her sister, Madeline Power of Bradley, IL; several nieces and nephews. She was preceded in death by husband John Mathews in 1974, husband Carl Casino in 2005, son John "Jack" Mathews in 2010 and brothers, Delmar, Paul, Dellas and Viator Fortin. Born Dec. 14, 1918 in Beaverville, IL, she was the daughter of Ovid and Rosella Fortin. She graduated from Holy Family Academy, Beaverville, and lived most of her adult life in Bradley, IL. She retired from Armour Pharmaceutical in Bradley after nearly 25 years of service. She was a Cub Scout den mother, active member of several organizations and member of St. Joseph Catholic Church in Bradley before moving to Cary. She was an avid card and game player and enjoyed making crafts. Mass of Christian Burial will be at 11AM Dec. 28 at St. Andrew's Catholic Church, Apex, with visitation at the church beginning at 10AM.